TEL AVIV (Reuters) – Israel-based Mobileye (F:), which makes technology for autonomous driving, said on Tuesday it was expanding its business in China with two new partnerships, paving the way for smaller Israeli competitors that could benefit from U.S.-Sino trade tensions. Mobileye, bought by Intel (NASDAQ:) in 2017 for $15 billion, has been making inroads in China, the world’s biggest auto market where self-driving projects are being rolled out at pace. Israeli rivals have also been winning work in China and could get a boost from the trade war that has effectively cut off Chinese investment in U.S. tech-hub Silicon Valley. Mobileye has signed a memorandum of understanding with Great Wall Motors to integrate advanced driver assistance systems in a range of vehicles over the next three to five years and to develop more advanced autonomous systems for China. A second partnership with Beijing Public Transport Corp and Beijing Beytai aims to bring autonomy to public transport. Mobileye did not disclose financial details of the deals. “There is a strong pull for Israeli technology in China,” Erez Dagan, the company’s vice president of product and strategy, told Reuters. Mobileye signed 16 deals in China in 2018, when half of the company’s design wins were Chinese, he said. Israel and China do more than $10 billion a year in trade. Chinese investment in Israeli technology has been on the rise for years. Israeli tech startups raised $325 million from Chinese investors in the first three quarters of 2018, up 37 percent from a year earlier, according to the Israel Venture Capital Research Center. The third quarter was the strongest for Chinese investment in the past five years. Intel’s deal with Mobileye put a spotlight on Israel’s autonomous driving sector, comprised of more than 500 start-ups and largely based on technology that has helped the country’s military drive tanks, guide and intercept missiles, and keep its computer systems secure. Some in the industry say new U.S. regulation aimed at curbing China’s access to American innovation could send more customers and investors their way. “This is an opportunity for Israeli companies and this is why we are considering going more to China. China will look more to Israel,” said Ronny Cohen, CEO of VayaVision, whose perception technology creates a 3D model of a self-driving car’s surroundings. VayaVision, which in October raised $8 million, has one project in China, on which Cohen declined to elaborate. Driver monitoring technology firm EyeSight Technologies has raised $50 million, including $16 million from China’s Kuang-Chi. CEO Gideon Shmuel also sees opportunity in the wake of the U.S.-China trade war. “China is our fastest growing market in terms of geographies,” he said. At the same time, too strong of an embrace of China could risk a backlash from the United States, which remains Israel’s key ally. “The trick is going to be how Israeli companies dance at both weddings. You really have to be careful not to jeopardize our core relationship with the U.S.,” said Jon Medved, CEO of crowdfunding firm OurCrowd, which has invested in 30 auto-tech firms. Unlike in the regulated defense and cybersecurity sectors, there are no restrictions in Israel on auto technology exports. “China doesn’t have enough advanced technologies so Israel can play an important role in Chinese smart transportation,” said Cui Yuting, counselor of science and technology at China’s embassy in Tel Aviv. Israeli companies still need a better understanding of the Chinese market and which technologies are suitable and they should look for Chinese partners, he added. 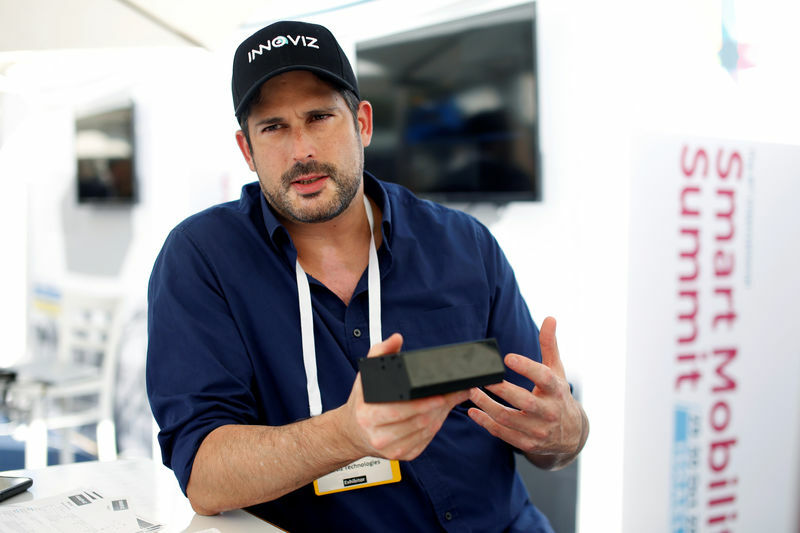 Innoviz Technologies, an Israeli maker of laser-based sensors called lidar for self-driving cars, has raised $83 million from investors like automotive suppliers Magna and Aptiv, but also Chinese venture capital firm Glory Ventures. “(China) possibly could become our biggest market,” said CEO Omer Keilaf, adding that he sees Israel as well-positioned to compensate there for any loss of American technology.